WASHINGTON (AP) — For nearly 15 years, Republican presidential candidate Mitt Romney's financial portfolio has included an offshore company that remained invisible to voters as his political star rose. Based in Bermuda, Sankaty High Yield Asset Investors Ltd. was not listed on any of Romney's state or federal financial reports. The company is among several Romney holdings that have not been fully disclosed, including one that recently posted a $1.9 million earning — suggesting he could be wealthier than the nearly $250 million estimated by his campaign. Romney's campaign declined to answer detailed questions from AP about Sankaty. Romney aides have said in the past that some disclosures were not required because those assets were valued by his financial advisers at less than $1,000 — below the minimum threshold under federal rules set by the U.S. Office of Government Ethics. A financial snapshot of Sankaty in Romney's 2010 tax returns showed the holding with almost no value at the time— with $10,000 in both assets and liabilities. While Sankaty no longer plays an active role in Bain's current deals, private equity experts said such holdings could provide significant income to Romney under his 10-year separation agreement from Bain, which expired in 2009. Investment funds typically churn "carried interest," profit shares due to the managers of the funds that often range as much as 20 percent of a fund's annual profit — known as "the carry." Even after investment funds are exhausted, profit shares and other late earnings from those stakes can continue to stream, arriving as lucrative "tails," tax experts say. In some circumstances, the analysts added, offshore companies like Sankaty could also offer limited tax deferral advantages. Since late 2003, Romney has left his financial decisions to what his campaign describes as a "blind trust" overseen by lawyer R. Bradford Malt, a longtime Boston legal associate. The trust was set up under Massachusetts law, but it's not a federally qualified blind trust — which Romney plans to use if he wins the presidency. Romney does not oversee his investments under his current trust, but its general composition is made public and Malt invests according to Romney's political positions. Bermuda legal documents show that on Jan. 1, 2003, the day before Romney was sworn in as governor, his wife's trust acquired 12,000 shares of Sankaty. The transfer was not made public. The month before, Romney had placed his assets in the state-approved trust overseen by Malt. The move legally allowed the trust to describe Romney's holdings in 2003 only as "various investments and securities" — without providing details. 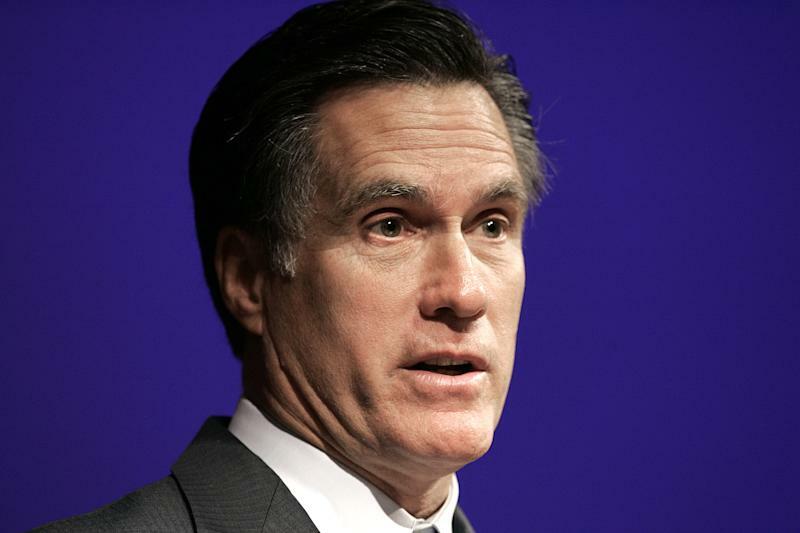 The trust filed similar disclosures between 2004 and 2007, the last year of Romney's term. Associated Press writer Josh Ball in Hamilton, Bermuda, contributed to this report.